You know how I always talk about my foodie bucket list? It’s the list that keeps growing and growing. Every time I take one-off the list, about two more appear. 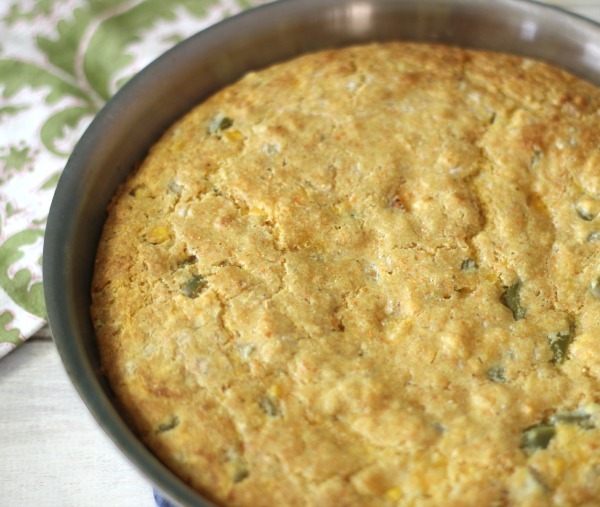 Well today is one I can cross one off the list, it’s my Jalapeno Cheese Cornbread in a Skillet. Let me tell you, I am not kidding, but this is the best cornbread I have ever made and I can go as far as saying the best cornbread I have ever eaten. Cornbread is not one of those things that I order at a restaurant or make too much, but for some reason I was craving it. So I decided to whip it together in a matter of minutes and dig in as soon as it was done. It blows my mind! This recipe didn’t come easy to make. I was out of milk, so I thought I would use coconut milk, I was out of that too. What the heck! After great thought I remembered that Little Jenny had milk in her fridge. I stole it! Hope she doesn’t mind? 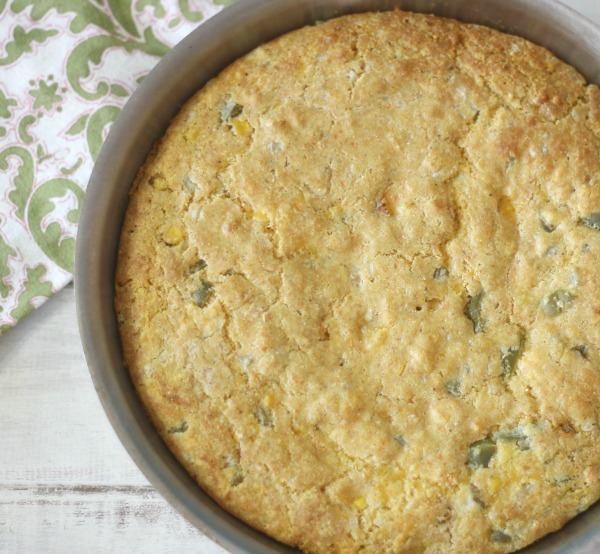 But when she comes home to Spicy Jalapeno Cheese Cornbread, I think she will forgive me. I have to describe the taste of the cornbread to you. It’s spicy, cheesy, moist, light and so filling. The recipe makes 10 slices, but I think you could get a way and have 12 slices. It’s pretty thick! I made this before dinner and you know what? I don’t want dinner because I am stuffed. 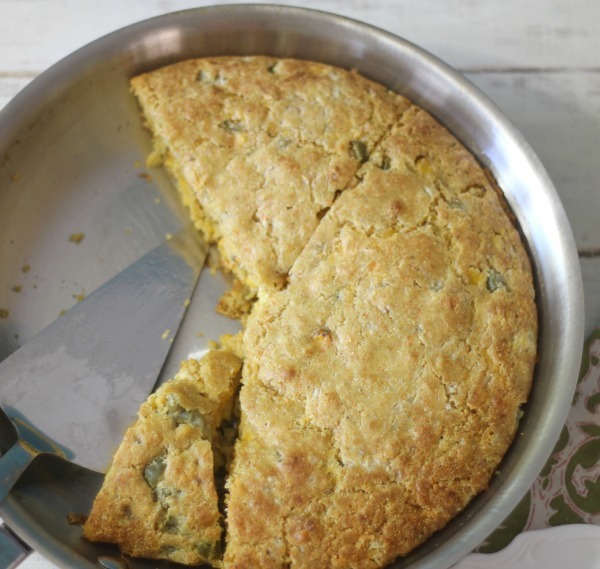 The cornbread is made with 1 cup of pickled jalapenos, but please use less if you want less spicy bread. I also used cheddar cheese and frozen corn. It is truly chock full of goodness. Now you can see why I am full. 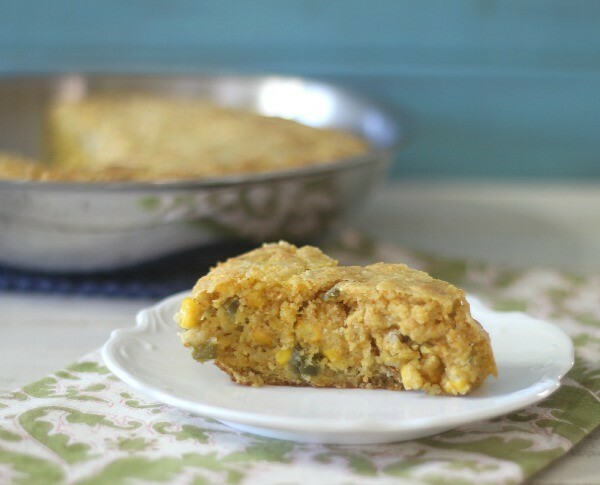 Spicy, thick, fluffy, moist cornbread made with jalapenos, corn and cheddar cheese cooked in a skillet. Place the canola oil in a 10" iron safe skillet and place in the oven. While that is warming up; it's time to make the batter. In medium bowl, add corn flour, flour, baking soda and salt; set a side. In a large bowl add milk, egg; whisk until well combined. Add flour mixture and stir until just combined. Stir in the butter, jalapenos, corn and cheese. Take the hot skillet out of oven and pour batter into it. Spread with a spatula. Bake in oven for 20 - 25 minutes until golden brown and center comes out clean with a toothpick. Let it cool for a few minutes, before cutting. One thing I have to tell you is in the pictures the conrbread looks crumbly. That’s because I cut it when it was still pretty warm. You know I have no patience. If you actually take the time to let it cool, it will hold it’s shape. 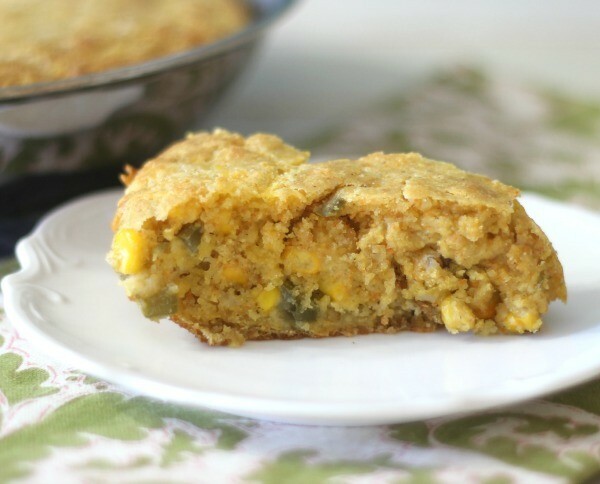 The cornbread would be a great addition to a big bowl of chili, soup or steak. Actually I think it would compliment most meals, but I kind of have a thing for it. I’m interested in seeing your ‘Foodie Bucket List’. Could you maybe make a blog post about it one day? It’s always interesting to see what other people want to learn how to cook/bake. Hi Samantha! How are you doing? I love the idea of doing a foodie bucket list post. I’ll do that one day. I just have to gather it all together. Hope all is well. 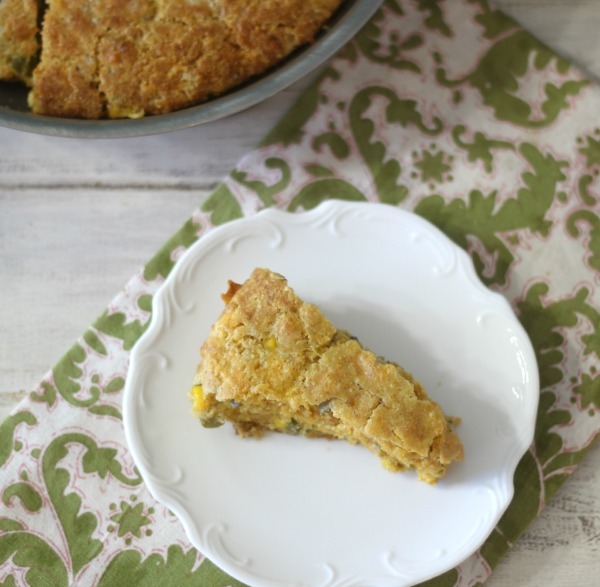 This cornbread is pretty fantastic! This recipe sounds really great, and reminds me of the one I used to make with sour cream, cheese, and creamed corn. Very high calorie. I would make this serve 12, which would bring down the calories perfectly for what I need to go with my favorite chili. 🙂 Really glad you shared this. Can’t wait to make this one, but what is “corn flour” Jennifer? Did you possibly mean corn meal? Hi Gail! Yes Corn Meal. My package says corn flour on it, but corn meal is the same thing. 🙂 Let me know how it turns out for you.